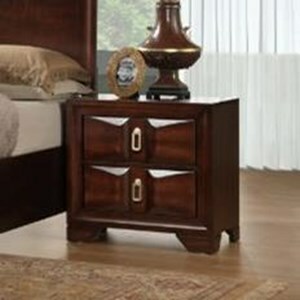 This lovely night stand has a sleek and elegant look that is complimented wonderfully by the charm of its simplicity. A gorgeous Black Cherry finish adorns its wood veneer, beautifully contrasting the minimalistic, silver-finished hardware to create a delightful transitional appearance. 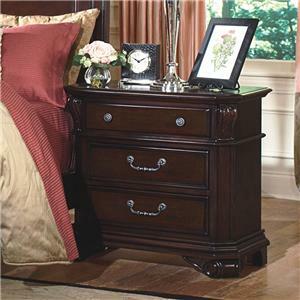 With four drawers you can keep your reading material as well as other items right next to your bed. 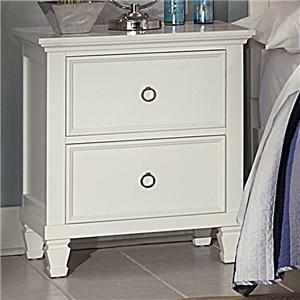 Place a vase of flowers or a reading lamp on its top to make the perfect bedside accent piece. 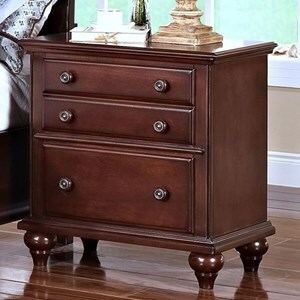 The Belle Rose Four-Drawer Night Stand by New Classic at Casa Leaders Inc. in the Wilmington, Long Beach, Torrance, Lakewood, Los Angeles area. Product availability may vary. Contact us for the most current availability on this product.